I’ve been working in the field of bodywork, body awareness and stress management for almost seven years now, and there is a good reason why I called my website Bodies at Work. Whether you are aware of it or not, your body is always at work. And your body is always working in your favor. It’s providing energy and showing you what you like and don’t like. Being more aware of what your body communicates to you and what your body’s unique language is, can help you make your life easier, more productive and joyful. This body awareness is difficult to achieve when you’re always active. Being passive provides an opportunity to become aware of things that escape your attention when your focus is only on an activity. I believe we’re all doing too much. We make efforts – physically and mentally – that we wouldn’t need. Instead of going into research mode to find out why you and me do this, I want to offer you a practical practice today that invites you to do less. Even if we have time off, we are doing too much. And the summer or your summer vacation can tell you a lot about your ability to be passive and idle. Do you know the situation when you finally have time off and then it’s super hard to relax? And it can take a week to get used to checking your email less or not at all? Or that you are so used to being busy that you are planning your time off as if it were a busy workday? Or that moment at work when all you look forward to is a lazy weekend, but still you say yes to fun activities with your friends? We need to be inactive, because it’s an important time for your body to work for you. It is the time it needs to restore balance, to digest – food as well as ideas or experiences. Without moments of passivity, it’s impossible to sustain an active lifestyle. For you and your body it’s essential to be idle. So, today, as you read this, I invite you to spend five minutes today being idle. 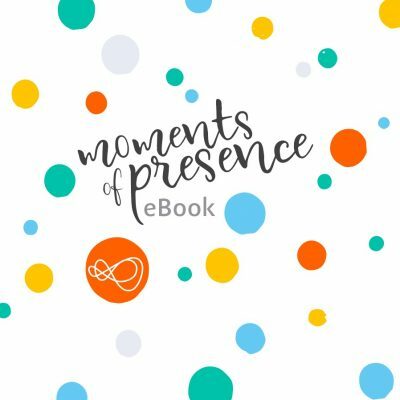 And I want to share with you one of the practices I’ve designed for My Summer of Presence, a program that invites you to create and integrate moments of presence into your daily life. This day is dedicated to honoring non-productive time. I don’t like to call it wasting time, because it’s not wasted time. Not at all. We need time off of the subjects and tasks that we are working on to get new ideas and recharge our batteries. Inventions often happen when people get together and enjoy off-time instead of working to solve a problem. I often have my best ideas when I’m walking or doing some mundane task like washing dishes. In this time the brain makes connections it cannot come up with consciously and when pressured. Today: take your time to integrate information or an experience you’ve absorbed before. Take your five minutes to digest – to make your own what nourishes you and to let go of what you no longer need. 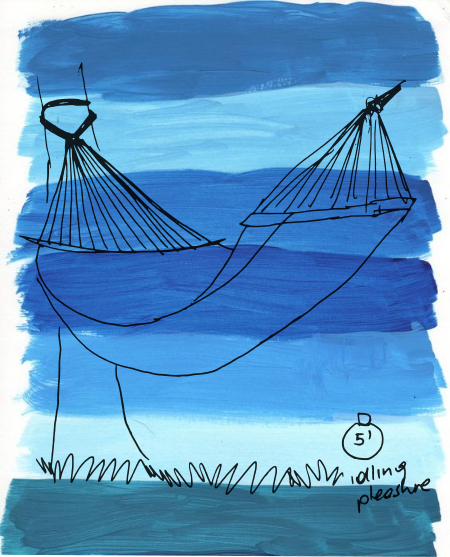 Whatever you choose to use your five minutes of presence today: Be generous with yourself and idle away. 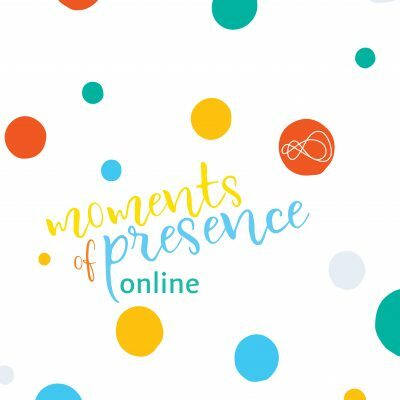 My Summer of Presence is a playful and fun way of adding moments of presence to your summer. It possibility of creating a new habit and having those moments any day in your life. If you liked the practice and want some more of it: My Summer of Presence is now available as a 10-day and 30-day program. It will be available until the beginning of autumn. Sign up now and you’ll receive your first presence practice tomorrow morning in your inbox. If you want to find out a little more about the different practices the program includes, you can read up on it here. Enjoy the day – make it your own!